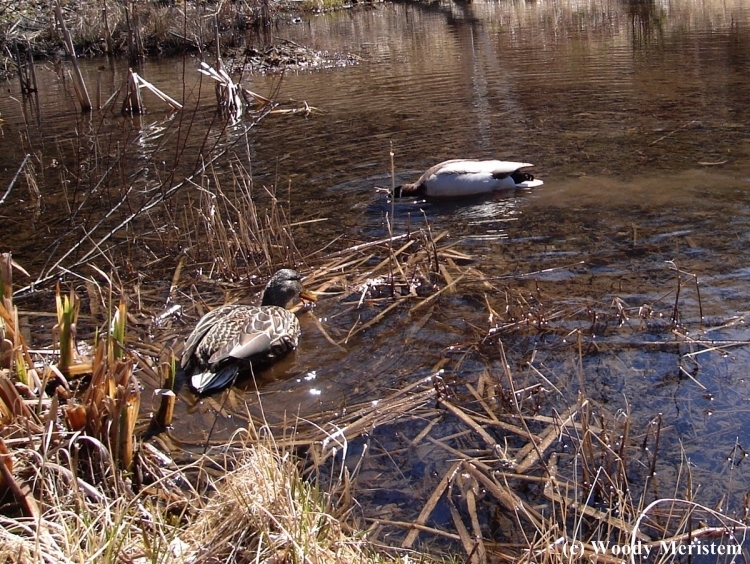 Set a couple of camera traps on the edge of the pond hoping to get some photos of the wood ducks that occasionally spend some time there. 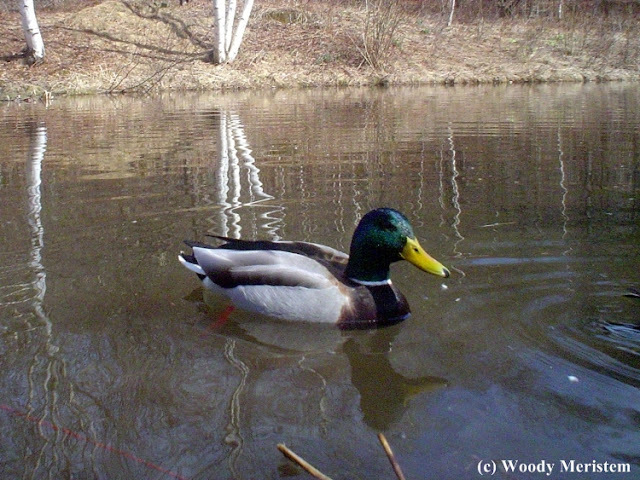 After a week the cameras got nary a picture of any wood ducks. But, it did get quite a few photos of the mallards that have taken up residence. Although the mallard pair occasionally left the pond, presumably to feed elsewhere, they spent most of the day circling the shoreline, feeding almost continually. 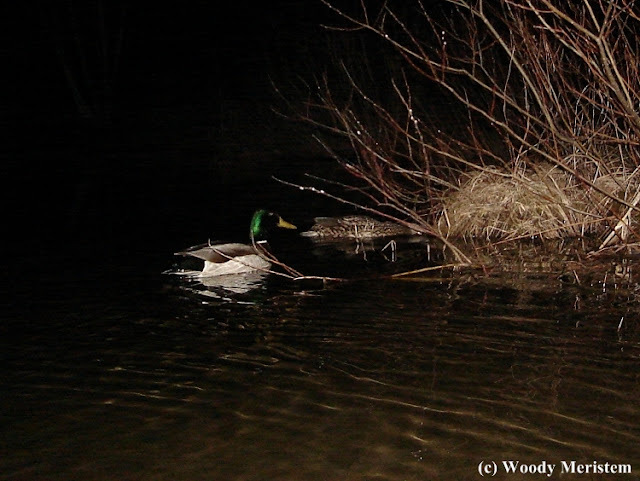 The female fed in the shallowest water, right at the edge, while the male fed in deeper water further from the shore. 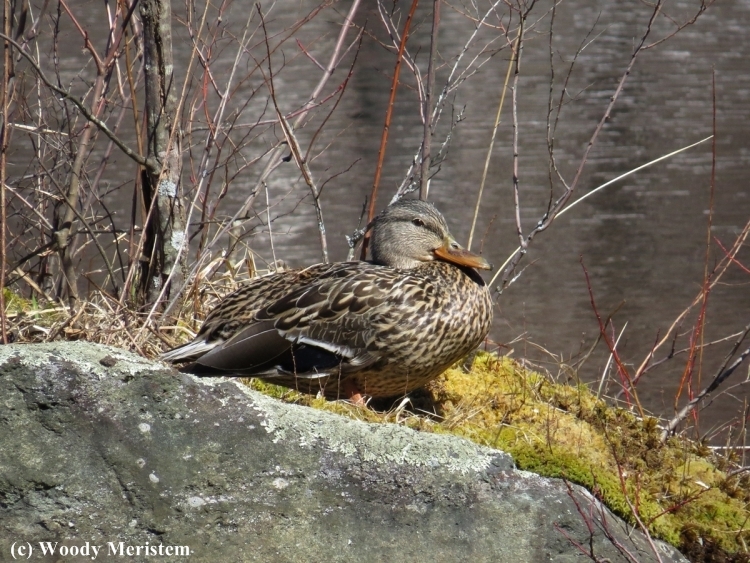 The female mallard (or her predecessor) has nested among the vegetation growing on a rock in the pond for several years. She had been spending time on the rock, creating a nest and apparently beginning to lay her clutch of eggs. We were seated out of sight watching the pond and the mallards feeding when a raven suddenly flew down, landed on the rock, threw aside some nesting material, picked up a duck egg and flew into the adjacent woodland. 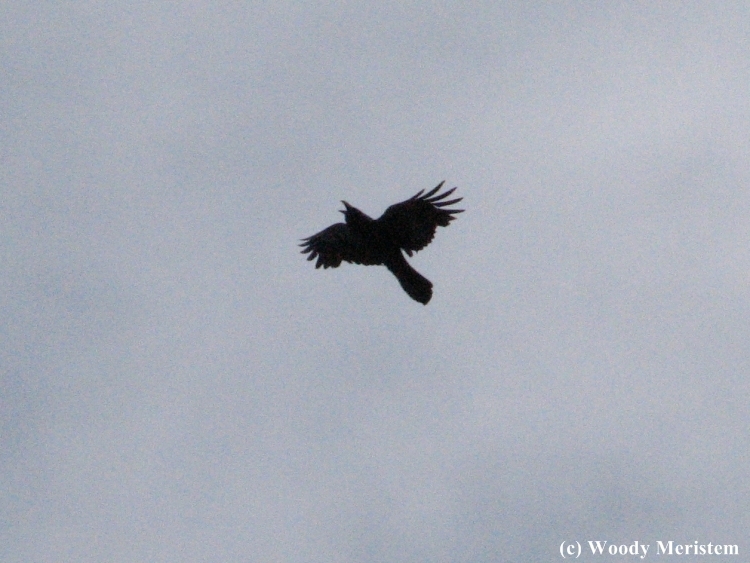 All this happened too quickly for me to get any photos – and then the raven emerged from the woodland and flew overhead, having had its meal. The question arises – did the raven happen to see the nest and its egg(s) as it flew overhead, or had this most intelligent of birds been periodically checking the nest to return each day as the mallard hen deposited each of her eggs? Oh wow, poor Mallard lost her egg. Great series of photos! Thank you for linking up and sharing your post. Happy Saturday, enjoy your weekend! fun to see what your camera captured. 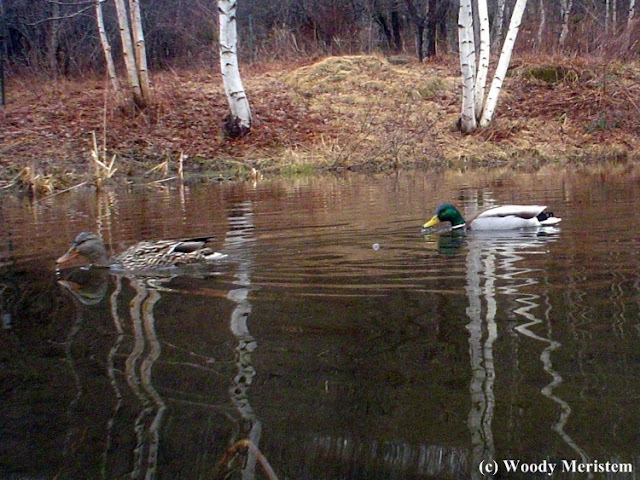 last week i saw wood ducks visit my ponds two days. They are quite beautiful.